Preparing your Michigan Driver’s License Restoration or Clearance case is different than preparing you for your actual Restoration or Clearance Hearing. I have written extensively about how, as a Michigan Driver’s License Restoration Lawyer, I put together a License Appeal case. Once that case has been assembled and filed, the next step is a live Hearing. In this article, I will examine why preparation for this next stage is so important. Given that I Guarantee I’ll win your License back the first time around, I wouldn’t place such emphasis on this if I didn’t really believe that a thorough Hearing prep is critical to winning. There’s an old saying that applies to Lawyers who take testimony of any kind: Never ask a question if you don’t already know the answer. In a License Appeal case, we can add something to that, and it’s about the person trying to win back their License: You should never be asked a question you haven’t been asked before. This is really another way of saying that there should be no surprises. While that’s true, there is a lot more to prepare for in a License Hearing than just the questions you’ll be asked. As I explain when you first come in, I’ll have your Hearing scheduled live, in the Livonia Branch Office of the Michigan Secretary of State’s Driver Assessment and Appeal Division, known as the DAAD. I never do a “video Hearing.” And I never call witnesses. As I’ve pointed out in other articles, live Hearings are far superior to some webcam hookup, flickering video thing, and calling witnesses to testify is almost always an amateur mistake. To even begin to properly prepare for a Hearing, we have to know which particular Hearing Officer will be deciding your case. Each Hearing Officer has his or her own unique way of conducting a License Hearing. While it’s true that they’ll all ask some of the same general questions, they’ll each have a lot more specific questions unique to what they feel is important in a License Appeal. In addition, many of the Hearing Officers will ask an entirely different set of questions of someone who does not go to AA than they will of someone who does attend AA meetings. For what it’s worth, more than half of my Clients do not go to AA, meaning AA involvement is absolutely not necessary to win your License back, although knowing how to talk about why you do, or do not go, is. I suppose every Lawyer has his or her own way of prepping their Clients. I cannot imagine any Lawyer not making this an important and separate part of the License Appeal process. 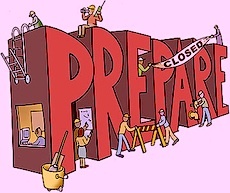 Surprisingly, I have heard that not every Attorney schedules a “prep session” with the Client before the Hearing. I’ll skip being polite here, and will just be blunt instead: If that’s not part and parcel of your Lawyer’s standard procedure, you need to get your money back before you blunder into that Hearing room. Over more than 22 years, I have refined how I do things, and for the last decade or so, I have found that the best way to carefully and thoroughly prepare a Client for their Hearing is to do it the night before, or close to it. “Night,” in this case, means just that; it means after hours, when I’m at home, and the Office is closed, and there are no distractions. When we get on the phone, you and I are, to my mind, 2 of the only 3 people in the world who matter. The 3rd, of course, is the Hearing Officer before whom we will be appearing the next day. And we’ll talk about that story. My job is always to help a person frame their transition from drinker to non-drinker as a story, because it really is. It’s a journey. You may not often think of it that way, because you are far too involved in actually “doing” or living it to think about how you might later describe it, but that doesn’t change the “story” aspect of it. I live these stories every day. Perhaps because of that, I write the way I do, (or maybe it’s vice-versa). For me, describing and explaining something while including all of the little details from both the up-close analysis and the distant “big-picture” perspective come naturally. You certainly won’t find any lack of detail in my articles. Details are important. I have an eye for those that really matter in a License Appeal. The same goes for the pre-Hearing prep session, and then the Hearing itself. While the crafting of the “story” of your Recovery will have begun when you and I first met, and will emerge more fully as the Evaluation is completed and the Letters of Support are edited and revised, we’ll review it again, right before the Hearing, because that will be the story we present in the Hearing. Next, we’ll turn to the questions your Hearing Officer will be asking you. If you are not in AA, those questions, depending on which Hearing Officer is deciding your case, will be different than those asked of someone who currently goes to meetings. Each Hearing Officer has different areas of interest, and beyond asking different questions, just “does” things differently. I will thoroughly prepare you for what to expect so you’re not surprised. Surprises, at least in License Appeal cases, are never good. No matter where you live, I’ll have your Hearing scheduled in Livonia. At the Livonia DAAD Hearing Office, there are 5 Hearing Officers. I appear in front of each of them all the time. I know what kind of information they seek from a person, and I also know what kind of information they seek, and what they find useless. In some cases, there is additional information we might present at your Hearing. Yet something I might present to one Hearing Officer I might not present to another. This is simply a product of knowing what is and is not important to the particular Hearing Officer to whom your case is assigned. It is critical that the “prep” examine all these components. We’ll finalize all of this the night before your Hearing, so that we’re both fresh, and on the same page, when you walk in the next day. While the Hearing itself is very important, no amount of pre-Hearing preparation can make up for a case that has not been carefully cultivated and put together from the start. A Hearing should be far more about confirming that you are, in fact, the person described in your Substance Abuse Evaluation and portrayed in your various Letters of Support than anything else. At least in my Office, this means that we will have presented a winning case with the documents and evidence we file with the State, and that we’re going in to simply “confirm” what’s been submitted. This is no “last but not least” point, either. Underlying everything else, as we get ready for the next day’s Hearing, I will remind you that we are going in to tell the truth. When a person has really gone from drinker to non-drinker, the story of their transformation, the changes in friendships and relationships and goals, and everything that goes with that, is rooted in fact. It is the truth. You don’t have to worry about remembering details when those details are true. For as nervous as anyone might at first feel about walking into the Hearing room, knowing that you’re going in to tell the truth, and that I’ll be right next to you, helping to get that out, and that you can hold your head high while looking that Hearing Officer right in the eye because you are, in fact, telling the truth, brings a sense of confidence that quickly banishes any sense of initial “stage fright” or “jitters.” Again, this is part of what I do for a living, every single day, and part of what we go over as we prepare for your Hearing. I’ll make sure that, even if you’re the most nervous person in the world who hates speaking in public, I help ease you into the process so that, without realizing it, you forget about being nervous and get comfortable answering questions and talking about your life. In the end, the time spent in preparing will pay off with a win. Remember, I Guarantee it, and I can do that because know that cases are won, or lost, in the preparation, and that my approach to preparation leaves no room to lose.